SPECIAL OFFER! INCREDIBLE PRICE! 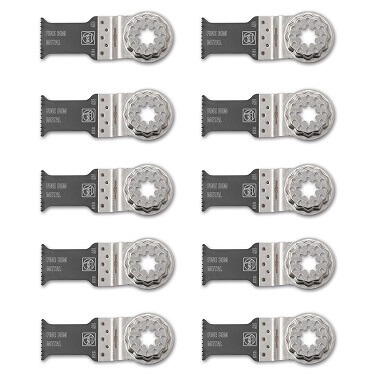 10 PACK of FEIN 157 E-Cut Fine-Toothed Wood & Metal Blades. Ideal for cutting: sheet metal up to 2mm, wood, aluminium profiles, copper pipes, fibreglass-reinforced plastic and other hard plastics. Directly fits the most popular brands: FEIN, Bosch, Hitachi, Makita, Milwaukee, Metabo and numerous other brands supporting a universal fitting. Blade width: 30mm. Blade length: 50mm.